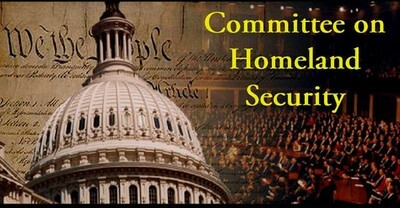 House Homeland Security Committee Chairman Michael T. McCaul and six subcommittee chairmen want Homeland Security Secretary Janet Napolitano to explain why Saudi Arabia is being added into a program for trusted travelers. In a letter dated Wednesday, McCaul, R-Texas, and the subcommittee leaders point out that 15 of the 19 9/11 hijackers came from Saudi Arabia. "More recently, following the plot to blow up an international flight over Detroit in 2009, the Department saw fit to increase scrutiny for passengers coming from countries like Saudi Arabia. This must be a factor in determining who to admit into the Global Entry program." The letter comes in the wake of the Investigative Project on Terrorism's (IPT) recent report detailing the agreement Napolitano reached with Saudi Interior Minister Mohammed bin Nayef in January. It raises many of the same concerns broached in the IPT report. For example, the letter asks, "How did Customs and Border Protection (CBP) and DHS decide to grant Global Entry membership to the Kingdom of Saudi Arabia before other trusted allies?" It also asks how DHS will "work with Saudi entities to verify information provided by Global Entry applicants and keep the Homeland Secure?" Under Global Entry, travelers undergo advanced screening which allows them to enter the United States without standing on regular CBP lines. They can swipe their passports and give fingerprints at airport kiosks. Joining McCaul in signing the letter were fellow Republicans Peter King of New York, Michigan's Candice Miller, Pennsylvania's Patrick Meehan, Jeff Duncan of South Carolina, North Carolina's Richard Hudson, and Indiana Rep. Susan Brooks. The committee members worry that including "high-risk" countries such as Saudi Arabia in the program will give America's enemies an opportunity to find vulnerabilities that they will "exploit to gain access to the Homeland." A DHS source, speaking on background, said the agreement is based on details that will be worked out setting "the level of background checks and disqualification criteria" for applicants. That will include risk assessments on applicants who "must be vetted and approved by both countries." Citizens of Mexico, Canada, the Netherlands and South Korea already can participate in Global Entry's trusted traveler program. A similar agreement was signed with Israel last year, but it has not been implemented. Details of the program's implementation have yet to be worked out, DHS spokesman Peter Boogaard told the IPT. "The Department of Homeland Security and the Ministry of Interior of the Kingdom of Saudi Arabia signed an arrangement to begin discussions towards expanding U.S. Customs and Border Protection's trusted traveler program, Global Entry, to citizens of Saudi Arabia, and initiate discussions to establish a reciprocal program to facilitate processing of travelers upon arrival in the Kingdom of Saudi Arabia for U.S. Citizens and lawful permanent residents who are enrolled in Global Entry," Boogaard said in a statement. In the original IPT report, critics expressed concern about the reliability of Saudi information about its applicants, noting the kingdom has failed to share important intelligence data with U.S. officials in the past. Sharon Premoli, a 9/11 survivor, called the benefit for Saudi travelers "a slap in the face." In addition, former U.S. Sen. Bob Graham expressed his belief that Saudi Arabia provided support to at least a couple of the 9/11 hijackers. Information about that allegation in a joint congressional inquiry remains classified, Graham said. He questioned the need to extend a travel benefit to Saudi Arabia, but reserved judgment until more details emerge. The complete letter to Napolitano can be read here. Napolitano is the poorest excuse for DHS Secty. She endangers us all with her policies. BTW The Saudi National tackled in Boston is now being deported on National Security Grounds. Good call Steve. Good for IPT. Good for the country. Keep up the good work.